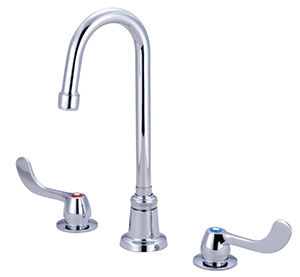 Concealed Ledge Faucet on 8-inch centers, 8-inch brass D-spout with 2.0 GPM aerator, 1/2-14 NPS female threads on inlets. 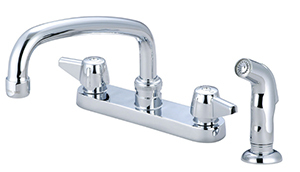 Quick-Pression quarter-turn stems. 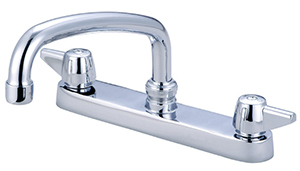 Replaceable seats. 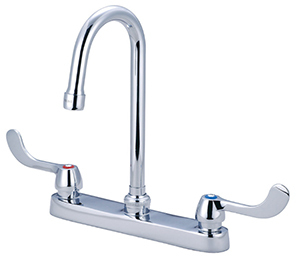 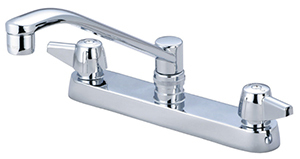 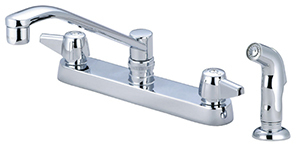 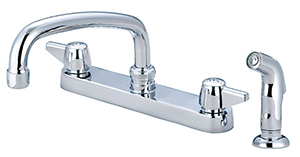 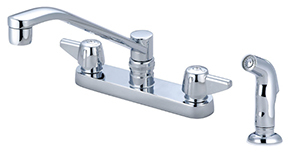 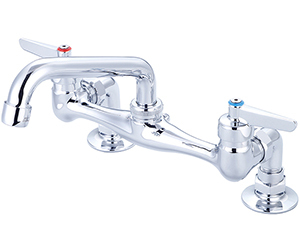 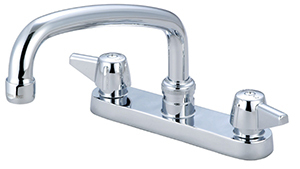 Central Brass 0073-A-Q - Concealed Ledge Faucet on 8-inch centers with side sprayer.